The mobile phone is fast becoming the new computer, with powerful new processors and edge-to-edge bezel less displays becoming the norm. With your Android phone, you can stream movies, play games, use online banking, and browse the internet wherever you go. Our treasured phones are getting very secure, but the more we rely on these devices, we open ourselves to the dangers of unsecured internet. More and more data is being processed and if you plan on using Public Wi-Fi or even 4G and 5G connections on your Android phone to connect to apps and services, you'll need to utilize the power of a VPN if you truly want to keep your data and information private from snoopers, ISPs, and corporate entities looking to sell and use your data for profit. How does TorGuard Secure Android? 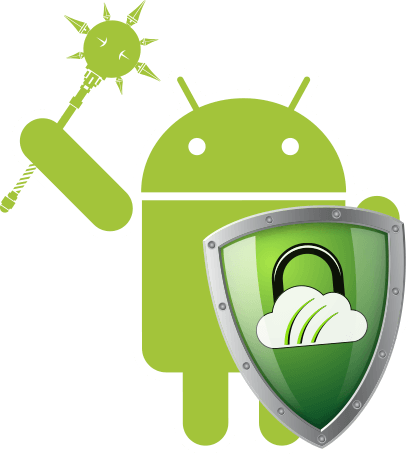 TorGuard uses the fastest and strongest protocols to secure your Android phone with military grade encryption. We use IPsec, IKEv2, OpenVPN, Anyconnect/Openconnect protocols alongside an anonymous IP address that make your internet traffic unreadable. You can be sure your data used stays encrypted and private since we have a strict 100% no log policy and you can rely on TorGuard's special invisible Stealth VPN feature to get behind even the strongest firewalls to unblock content. 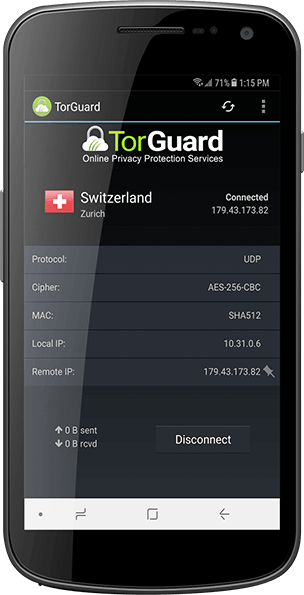 No matter where you are--TorGuard VPN for Android lets you browse and use internet anonymously. Unlike most other “free” VPNs on the Google Play Store, TorGuard doesn't pull any stops. We fully allow torrenting and P2P activity and we are compatible with every streaming service out there due to our unique dedicated IP addon. Our optimized server network with locations around the world provide fast consistent speeds on every Android device. 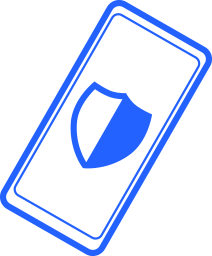 TorGuard for Android also comes built in with many powerful security settings you can't find elsewhere--like autoconnect features, restricted app usage functions, as well as advanced Network configurations for power users. Say goodbye to Ads, and hello to a REAL VPN. Why Choose TorGuard for Android? TorGuard for Android provides you with unlimited access to the internet with uncapped speeds and plenty of servers to choose from for as low as $4.99 a month.without restrictions. If you love your Android phone, but also use your PC, no problem. TorGuard is completely multi-platform with consistently updated apps for PC, Mac, Linux, iOS, and we even have proxy browser extensions for Chrome and Firefox. Leave your questions to the pros. TorGuard's award winning customer service team operates 24/7 around the clock to support all time zones. In today’s Web-driven world, the Internet is involved in just about everything we do. In the past 15 years, since the popularity of cell phones was driven to epidemic levels, the activity of browsing the Web has moved from computers and laptops to smaller devices, including smartphones running on the Android operating system. But all of our browsing history should not be subject to constant monitoring. Regardless of the reasons for seeking anonymity when surfing the Internet from your smartphone, you should not worry as there are viable solutions available. The answer comes from Virtual Private Networks, or VPNs. These are among the top security tools available in the modern world, even reaching the level of an antivirus or malware protection. These applications allow you to surf with protection across a dangerous Wi-Fi setup, for an example a public mall or café internet. They also provide security against anyone who wants to see what you are surfing and/or keep tabs on your browser history. Another benefit of using a secure VPN is that you can change your location to access sites and pages that may be globally locked out of specific regions. Using these services to stream from Netflix, Hulu, and Amazon in a country where these streaming giants are blocked or limited in their available titles require more than the standard, free VPN, but it is still possible. Beyond the online privacy that is the primary reason people purchase VPN services, many blocked websites become available through changing your virtual location to another place (for example, from Asia to North America, or South America to Europe). While most Internet users may be aware of VPNs running on their personal computers, most of the industry leading platforms also offer complete Android support in the form of specialized apps that reroute your devices IP address into a random, anonymous one. So how does one apply a VPN to their Android smartphone? Mobile VPN services run the same exact way as their personal computer counterparts. As mentioned above, many of the top-rated VPN services that serve computer users are also available on smartphone devices, under one shared subscription plan. When purchasing a VPN subscription, most of the leading services direct you to download all the standard required software upon the payment being cleared. This includes the Windows (or Mac) applications, of course, but also the smartphone apps that can be downloaded via an email link or a trip to the Google Play Store. If your service of choice doesn’t provide this feature, then all you would have to do is open the Play Store and search for the name of the VPN you just bought, download the program, login, and then begin surfing anonymously. It is important that VPNs like ours are available on Android devices. Ten years ago, nearly everyone browsed their favorite sites and pages from the comfort of their computer screens. Whether on a laptop or a desktop PC, the Internet was almost synonymous with sitting down at a desk (or laying across the couch) and typing away into the night. This all changed when smartphones started getting more powerful and running the same application types and software we all love and need on our PCs. More than this, most websites began shifting their content to a more mobile friendly size. This means that web sites now have specific versions built around the smaller screens. Imagine surfing the Web from a smartphone and only being able to access the desktop version of the sites you visit! Now, anonymous surfing from the comfort of your phone is a need that would have been laughable only a few short years ago. Much the same as the free antivirus software that is available across the Web, there are serious limitations when using free VPNs that can leave you open to potential harm. You don’t have to put up with ads when using our VPN. 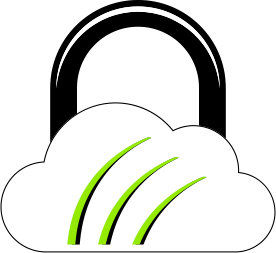 Our VPN fully allows torrenting and P2P activity. And it’s fast: We use an optimized network with servers all around the world, so you get faster speeds no matter where you might be. If anything goes wrong or you have questions, our award-winning support staff are here to help, 24/7! Trust the VPN pros with your Android VPN services needs. Give TorGuard a try today!